"We got our wedding announcements yesterday and we love them! thank you for the great job! They were printed so beautifully! Many thanks!" 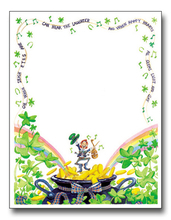 Enjoy browsing our wonderful selection of ST. PATRICK'S DAY PAPER Our paper for ST PATRICK'S DAY is very easy to imprint on your inkjet/laser printer or we can print the text for you. 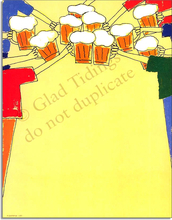 Coordinating envelopes are sold separately and shown with each paper.